Gerai OA is a volunteer-run, nomadic stall selling crafts by the Orang Asal (indigenous minorities) of Malaysia; 100% of sales is paid to the named artisan. To document, revive & revitalise the heritage crafts of the Orang Asal, the indigenous minorities in Malaysia. This is done via publications, photos, workshops & sales. And 100% of the sales monies is returned to the artisan, their businesses or NGOs. 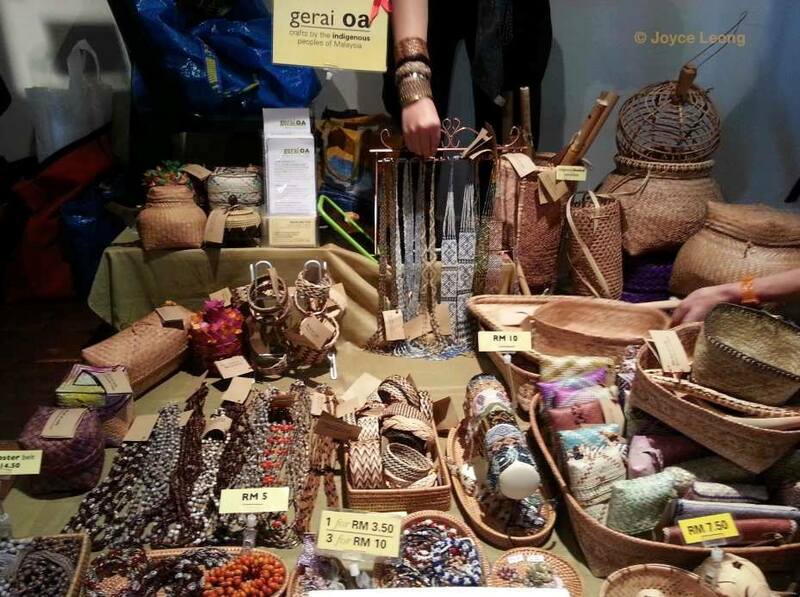 Gerai OA (Indigenous People’s Stall) is a nomadic, volunteer-run stall selling Orang Asal heritage crafts, books, CDs & DVDs by or about the the Orang Asal (indigenous minorities of Malaysia). Gerai OA (the Indigenous People’s Stall) is a volunteer-run stall that doesn’t really exist and we’re not a business nor a social enterprise. We do not have a shop or permanent premise. Or staff.